Sergey Birjukow (1950, Tambov region. Russia) - poet, literary critic, advantaged historian and theorist. He started his creative literary and artistic activities in 1967. He has been an actor, reciter, Theatre consultant, lecturer, journalist. He graduated from the Philological faculty of the Tambov State Teachers' Training Institute. He did his doctorate dissertation in Philology. Since 1991 till 1998 Birjukow delivered courses of Linguistics and General Poetics at the Tambov State University. He is the founder and president of the International Academy of Zaum. He started his poetic and criticism activities in 1970. He is the author of the following poetry books (including visual poetry): Long crossing (Voronezh. 1980), Writing from life (Moscow, 1989), Zaum muse (Tambov, 1991), Sign of infinity (Tambov, 1995), Gloria Tibi (Moscow. 1995), Sub alia forma (Tambov 1997), Prolegomena to 199 (Tambov, 1997), Sound correspondences (Moscow, 1997). He is the author of a number of poetry publications both in Russia and abroad, including the ones in such magazines as Chernovik (USA - Russia), Arion (Russia), Action Poétique (France), Zwischen den Zeilen (Switzerland), Via Regia (Germany), Literary Review (Russia) and others. He has been developing the tendencies of phonetic, zaum and visual poetry, and general polyrhythmics. As a literary theorist and historian Birjukow has been studying theory and history of the Russian advantaged, he was the first to describe the Russian musical and poetic theories of the 1910s-20s. 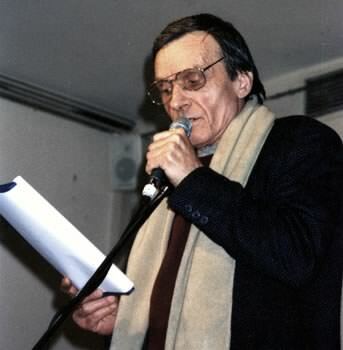 In 1993 he held the International conference "Poetics of Russian Advantaged" in Tambov, and published the collection of the conference materials. Then he annually held poetic conferences-festivals "Word" (Tambov). He is the prizewinner of the International literary contest in Berlin and a holder of A. Kruchonykh's International reward. His main research findings are in the following books: Zeugma. Russian poetry from mannerism to postmodernism (Moscow: Nauka,1994), Baroque and advantaged lessons (Tambov:TSU, 1998), Theory and practice of Russian poetic advantaged (Tambov: TSU, 1998). He is the author of numerous publications in magazines and journals, including such as: Experimental poetry. Selected articles (Ko?Nnigsberg - Malbork: Simplicij, 1996). Point of view. Visual poetry: 90s (Kaliningrad - Olzstyn:Simplicij, 1998), As a visual poet Birjukow participated in various exhibitions in Russia, Canada, Italy, Belgium, Norway, he published his works in catalogues and anthologies. His verses were translated into Bulgarian, German, Polish, Ukrainian, French, Italian and Japanese languages. He is the author of a number of oral productions from the history of the Russian and world avant-garde (Tambov, 1989-90), of the introduction to the audio collection Futurists. Gileya. Poets' voices and sounding reminiscences (Moscow:National Literary Museum - Gileya Publishing House,1995). 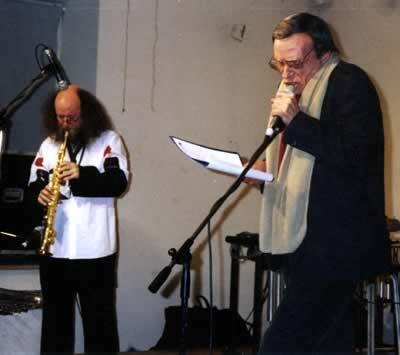 He conducted phono-poetic performances in Tambov, Moscow, Astrakhan, Saratov, Kostroma, St. Petersburg, and also in Poland, Finland, Germany, Canada (with E. Mnatsakanova, B. Cobbing, M. Sutherland). At different periods his productions were broadcast on the Russian Radio, Deulschlandfunk, Deutsche Welle. He is a member of the Russian Writers' Union, of the Russian Union of professional literary and theatre men. Sergei Birjukow lives and works in Halle (Germany).